Updated Wednesday April 9, 2014 by Stanley Park. 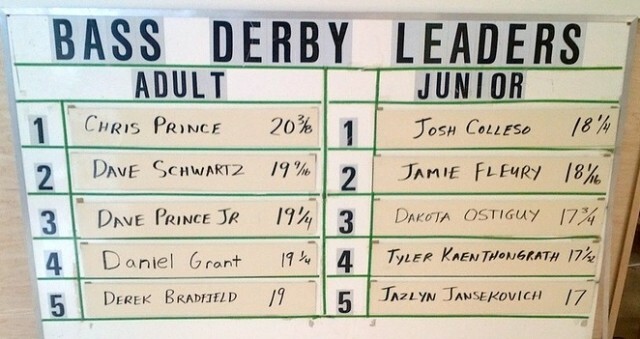 The leader board for 2013 with the final results after the Grand River Derby officially closed at 3 p.m. Sunday. Congratulations to all the winners, those who manged to catch a fish (or two) - and those who participated in this year's derby. 3rd place - $500 cash (19 1/4") Dave Prince Jr.
Come out and join us in 2014 on July 5 and 6 - the fish are bigger - register early!